ADMIRAL WORLD has been appointed as an exclusive and authorized distributor of Steinway & Sons in UAE, Bahrain, KSA, Oman and Kuwait. Each Steinway & Sons piano is hand-crafted, one at a time, taking about a full year to complete. We are proud to say that many of our artisans who handcraft today’s pianos are second and third generation Steinway craftspeople, carrying forth a Steinway family tradition. It is easy to find a piano that costs less than a Steinway & Sons, but it is impossible to find a piano that will offer more heritage, more renown or a greater return on investment. For more than 150 years, every handmade Steinway piano has increased in value. Put simply, there are many pianos that you and your family will grow out of. But there is only one that you’ll grow into – Steinway & Sons. For nearly three centuries, the piano has captured the hearts of artists and music lovers alike, and now it’s captured yours. Your decision to bring a piano into your home and into your heart is a decision to embrace the joys of music, heritage, artistry and tradition. Steinway & Sons is here to help . A well-constructed piano will add beauty and elegance to your home and will provide a lifetime of musical enjoyment. It’s the perfect instrument for beginning music students as well as seasoned musicians. But we understand that the process of selecting the right instrument may be challenging. This special Piano Buyer’s Guide will help you assess your desires, fine-tune your preferences and select the perfect piano for your specific needs. 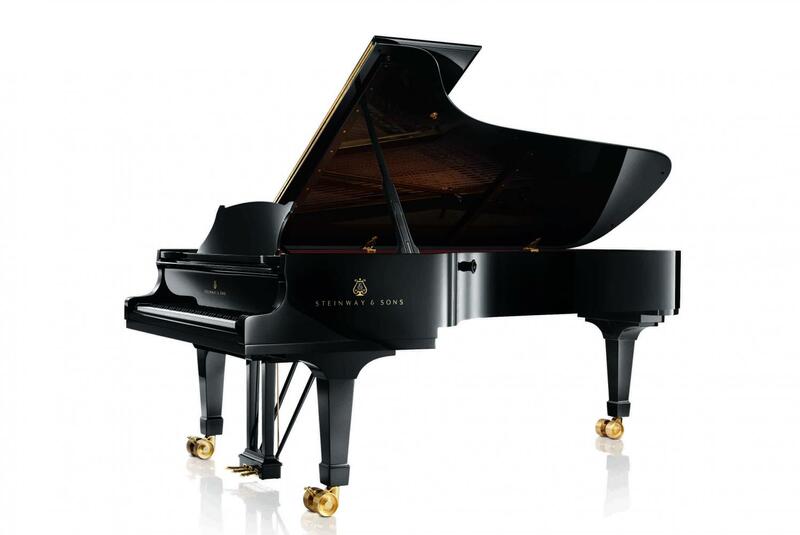 In the world of musical instruments, there are pianos – and there is Steinway. You get more out of a Steinway & Sons piano, because a great deal more goes into it. For more than 150 years, Steinway & Sons pianos have been the instrument of choice for 95% of the world’s performing artists, and we’ve built our name and our reputation on a commitment to one simple word: quality. Our pianos are far more than instruments – they’re investment – worthy, exquisitely-crafted family heirlooms to be treasured and enjoyed for generations to come. We’d like to share with you a bit of the knowledge we’ve amassed about what makes a piano work well, and what makes a piano play well. Armed with this information, we think you’ll find the piano that speaks directly to you. I have been importing foodstuff products for the last 10 years and had to travel all the time from one country to the other. Since the time I have started using ADMIRAL WORLD procurement services, I no longer need to travel spend time and money on souring products. Now ADMIRAL WORLD team does it for me. I am saving my money on trips, hotels and most importantly my time. I have been importing Paper from Dubai since 1998 until 2012 when I started working with ADMIRAL WORLD. For the last 3 years I am ejnoying the professional service from ADMIRAL WORLD team, timely delivery of my cargo and save time & money. ADMIRAL WORLD is a Dubai based multinational trading company presenting some of the world's top luxury brands and consumer goods in the UAE, Middle East and CIS countries. ADMIRAL WORLD Genereal Trading LLC. was founded by a team of highly qualified professionals with international experience in foreign trade, import & export, luxury goods and procurement services. Copyright © 2019 ADMIRAL WORLD General Trading LLC. All rights reserved.